dear bro , text sariya theriyala …! my eyes can’t see very lite text , also u have any Quran teaching branch in Riyadh Saudi Arabia ???? yes, please contact Moulavi Ramzan Fairs, mobile no: 0505346316 & Moulavi Abdullah, Mobile No. 0503546310. Jaazakallahu Khairan ! ! ! Bro , if u have any quran training institute plz give the Address ?? 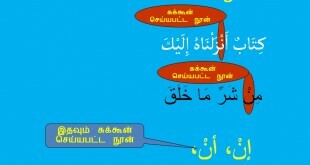 Insha Allah i will come for Learn ,, plz help me , Jazakallahu khairan ! 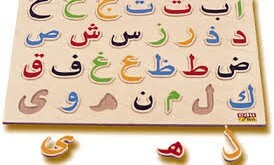 Assalamu Alaikkum i wants know the pronunciation and how to read Arabic? 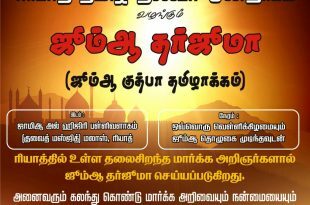 Assalamu Alaikum Mr. Admin Any Tamil Dawah centre like Jubail , Dammam or any other conduct this year going to HAJJI please let me know immediately my mobile 0592938627 my place Rastanura.